YJ LINK Specializes in Board Handling & Automation System Equipments, viz. Magazine Loader/Unloader, Vacuum Loader, PCB Cleaner, Link Conveyor, Work Table, Gate & Shuttle Conveyor, Sliding conveyor, Inverter, Turning Conveyor, Buffer Stacker, NG Stacker, Wave Soldering IN/Out Feeder, Manual Insertion line, Label machine. Can mark various types of codes including 1D, 2D, QR Code, Characters. Extend lifetime by refilling CO2. The Magazine loader supply's PCB to the next machine using “Pusher” from a fully-stacked magazine rack. At the last stage of SMT line, this unit stacks PCB’s one by one into a magazine rack. 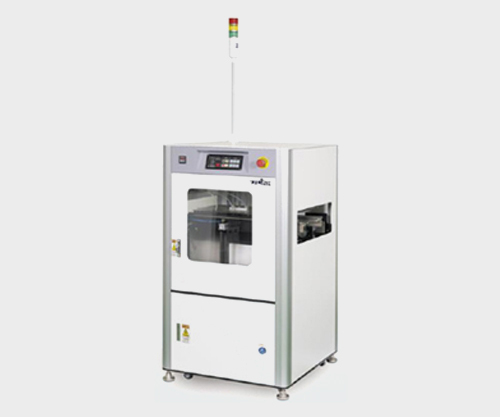 Work Table links SMT machines and allows Inspection on PCB's. This unit automatically separates Good & Bad boards while allowing visual inspection on PCB’s without any interruption on PCB flow. At the middle of SMT line, GATE CONVEYOR allows operators to pass through the line, without any interruption on PCB flow. 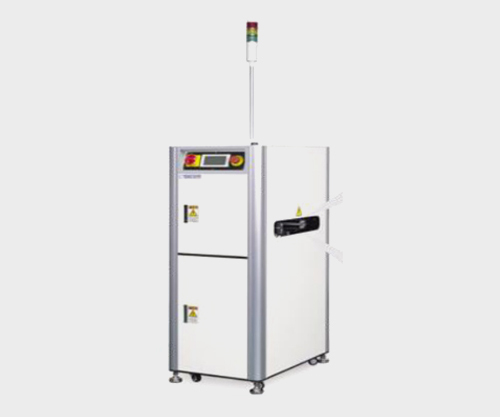 This unit removes dust & particles on PCB while transferring to the next process by Ionizer Air Knife & fume collector. Both Contact type using sticky roller and non-contact type cleaner are available to chose from. Buffer Stacker separately stacks NG and transfer GOOD PCB’s to the next process in FIFO way located next to SPI /AOI machine. 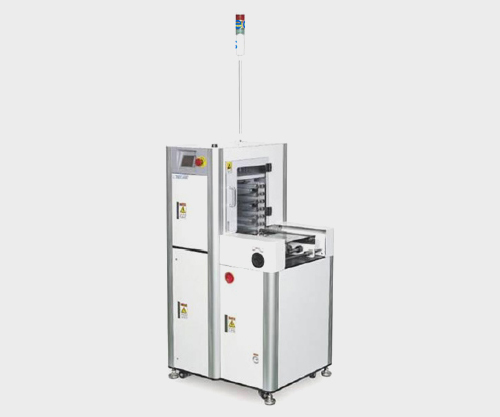 Different models available for different applications like Normal rack buffer for PCB stacking, Multi function buffer for NG/Good PCB stacking and Magazine stacker for unloading function. Vacuum Loader supplies bare board to the next machine by “Vacuum pickup unit”. 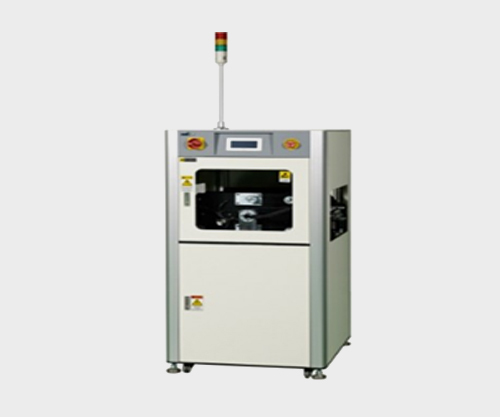 YJ LINK also have solution for Bare PCB loading for single side SMT applications.